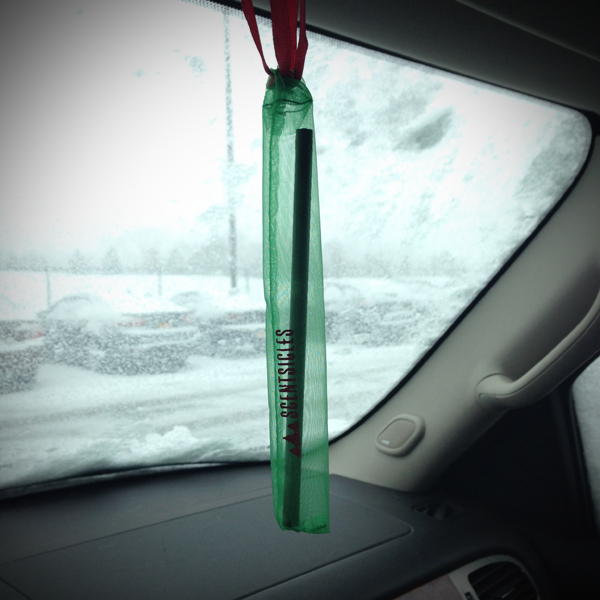 Last year I saw Scentsicles at Target and brought a tube home. We always have a live tree but Aaron loves the smell of pine. They make it smell like Christmas. We even had them in the car and used the all winter. I was pretty excited when Environscent sent me a box of Scentsicle products to try... and to share! Here is what came in the box. These classic Scentsicles can be used anywhere. Enviroscent, the company that makes them was founded by a former Primate Zoologist at NASA. That's some scent science! These Scentsicles have decorative beads so you can hang them right on the tree like an ornament. These autosticks come with loops and sachet perfect for using them in your car. 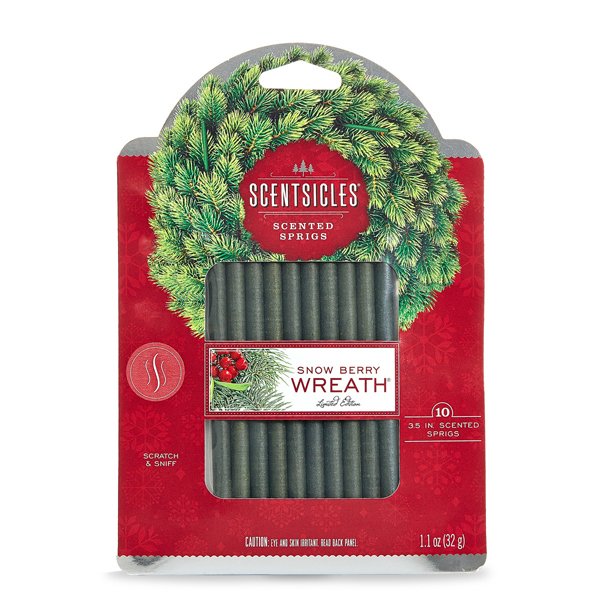 Wreath Scentsicles are shorter so you can tuck them into your holiday wreath. 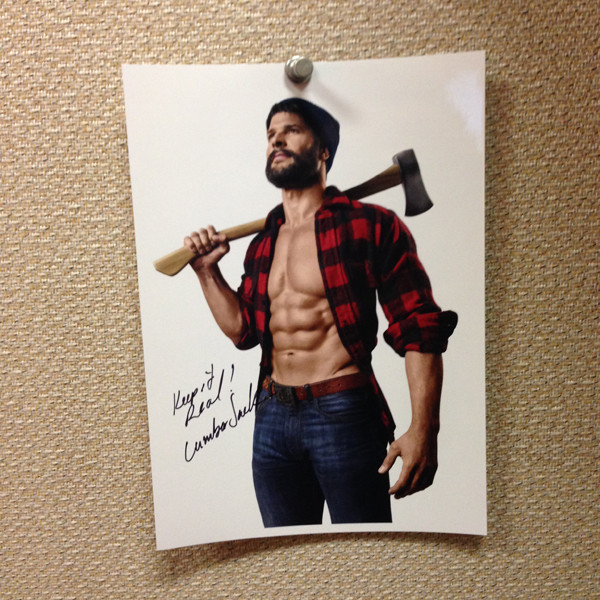 There were also Scentsicle lumberjack caps and a signed photo of the Scentsicle lumberjack. Have you seen him in the commercials? I love the autosticks kit. Everytime I hop in the car, the pine scent wooshes out of the car. I love it and I'd like to share the goodies with a lucky winner! Enter for a chance to win one of each of the scentsicle products pictured above. You have until Tuesday, December 16 at midnight to enter. Just leave a blog comment about how you would use Scentsicles to brighten your holiday and I will randomly choose a winner. Last year, I could not find Scentsicles, so this year when I saw them at Michael's I scooped up 2 packs. My husband also loves the smell of pine (the only scent he likes!) So when I find something that actually smells like a Christmas tree, I know it will be a hit. They are great in the car, although I did not see the autostick kits, what a good idea. I also put one in the basket of hats and mittens by the front door. I don't think I'd heard of these before this post. My first step would definitely be the ones for my car! I have never heard of these but now I have to get some! I would put them in my tree to amp up the pine smell is the house. I would put some of the branches in a cute vase. Would love to try these in the tree and in the car. Will look for these at Target or Michaels! I've seen these in Target and have been curious. Would love to try them! I usually buy a fresh wreath to hang on my apt door so the smell of the pine would emanate in the hallway. The sensicles sound just as good! I scored an awesome 9 foot artificial prelit tree at Goodwill.... But it's just not the same without the smell! I could def use some Scentsicles!!!! Neat. 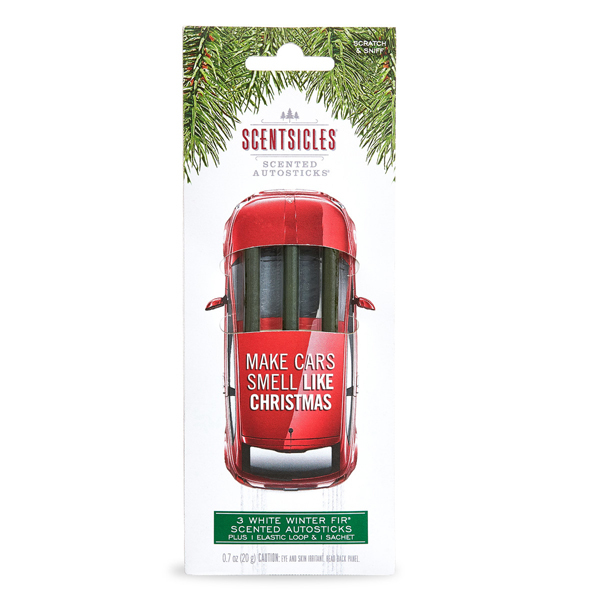 These piney scents could improve this year's synthetic and metal tree, and make more enjoyable the commute to work in the Mustang. I would love to use these on my artificial tree! I would hang one in the car and share with sis and Mummy. I've been following your blog since 2002 and I think this giveaway is a grand idea! This is my first Christmas with my husband and we absolutely love to entertain people in our loft. Our holiday party is coming up so I'd love to hang the Scentsicles around our recently renovated abode to give the impression that we have a pine tree present despite not having the space and finances for a real tree this year! I've been curious to try these as I've seen then popping up at all the stores. We have a real tree, too, but I'd share with my sister. Not only does she have two fake trees, her younger son is a real scent connoisseur. She borrows wet wipes so he can compare the scent to the one she has at home. I would love to try the autosticks. Need something bad to help with the the boy-stink emanating from the back of my car! Our cat Roy chews on most things so we haven't had a real or even artificial tree in years. This year we have a felt tree from Target hanging up on our living room wall. The scentsicles would be awesome! oooh! I pinned these last year and meant to look for them - thanks for the reminder! I would sneak these under car seats to surprise my neighbors. THIS IS A GENEROUS CHANCE TO WIN SCENTSICLES SAMPLES ! THANK YOU, IF I WIN THEM I WOULD USE THEM IN MY ENTRY WAY AND ALSO IN MY VEHICLE TO HAVE THE FRAGRANCE OF CHRISTMAS BOTH COMING AND GOING !! THANK YOU VERY MUCH ! We just moved and have no time or free space for our tree this year, so I'd use it in place of a tree. Maybe in the garage as a deodorizer too. 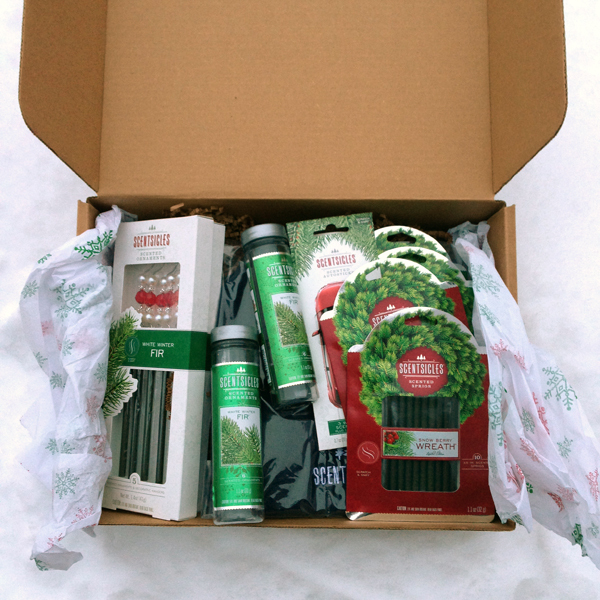 I love the idea of having our artificial tree smelling like a real tree! Awesome! I have to have an artificial tree this year so I am sorely lacking in pine-scented goodness and I would use them to make my home smell like the holidays! 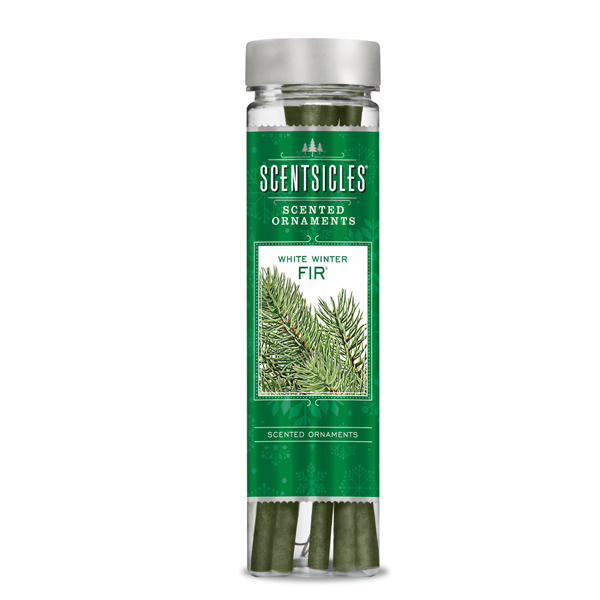 I LOVE Scentsicles - we discovered them last Christmas and use them to give the house a nice "fresh-cut pine" smell despite our artificial trees. They are really nice - it's not a fake kind of pine scent. Science pine smells? I'm in! If you ship to Canada, that is! My husband does not like real trees for Christmas, so it would be nice to have that pine scent again. Thanks everyone for entering! The entry period is now over. I will announce a winner soon! Hi. I share low entry giveaways on my blog. If you ever have a giveaway again with under 100 entries ending soon, please stop by and share it with me and I'll share a link on my low entry giveaway list. 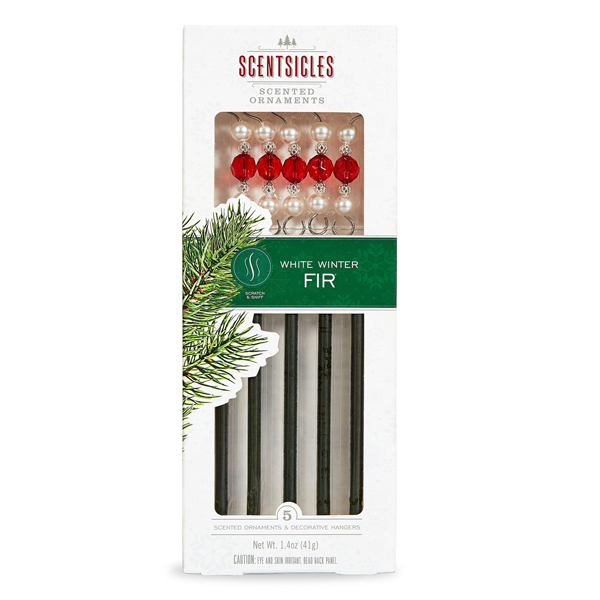 :-) http://suchfuntogive.blogspot.com (Too bad I missed this one...LOVE the smell of fir).